Living… an average life with her husband and kids in West Covina, California. Paula’s husband doesn’t pay attention to her and her kids have issues… frankly, Paula is bored with her life. Profession… paralegal at Whitefeather & Associates. The other people in the office don’t really take Paula seriously or listen to her, even though she is really good at her job. When a kooky new lawyer named Rebecca Bunch arrives at Whitefeather, Paula is at first suspicious of her. But, soon she becomes Rebecca’s best friend and biggest supporter. Interests… getting involved in the drama of Rebecca’s life. 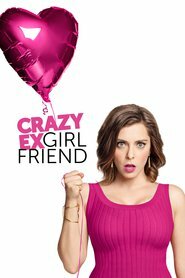 Once Paula finds out that Rebecca was inspired to move to West Covina to follow her ex-boyfriend Josh, Paula becomes completely invested in Rebecca and Josh’s love story. She won’t rest until she can watch the two of them ride off into the sunset together. Relationship Status… stuck in a boring, loveless marriage. Romance isn’t really on the table for Paula, until she meets a suave businessman – he makes her consider having an affair. Challenge… making life exciting in dull West Covina. There isn’t much to do, and so Paula has fun tagging along with Rebecca on all her adventures and schemes. Personality… optimistic, aggressive, and dedicated. Paula is a hopeless romantic who jumps at the chance to help Rebecca achieve love. She is also a devoted friend; once she commits to someone, she is all in. And, all of Paula can be a lot – she’s just got a lot of passion and creativity. She’s simply looking for an outlet for all of it, and it looks like that outlet is Rebecca. Paula Proctor's popularity ranking on CharacTour is #2034 out of 5,000+ characters. See our top-ranked characters and read their profiles.